Just acquired this nihonto and characters are creating a headache trying to figure out exactly what it is supposed to read as. All I know is this old guy took possession of its guardianship in the 1940's. Wait I'm in that class too lol. Would be good to know where it was born and by whom. #1Submitted by saipan59 on Sat, 2017-11-18 01:04. Sorry, but it looks a lot like a fake. #2Submitted by Secrethands on Sat, 2017-11-18 08:21. Hi Pete. That's what I thought before I got it. 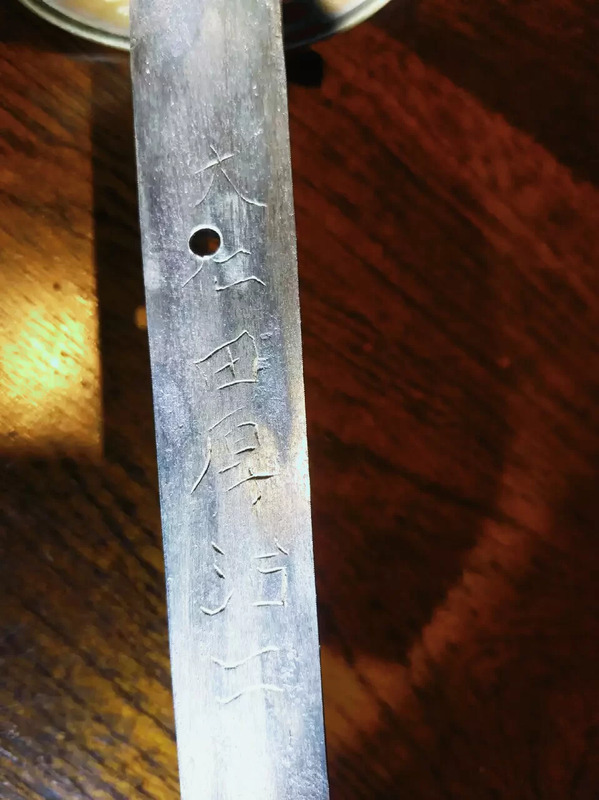 Got it off a guy high up in laido, purchased unseen as I could not see the tang, and has been cleaned by someone before to read the characters. I'll put up more pics and even if it's not of noble heritage somebody spent a lot of time to give it soul and becomes a standard to compare to one that is. I like Japanese swords for how they were made and not for what they would be intended to be used for. #3Submitted by Mikhail on Sun, 2018-09-09 12:13.